I am unashamedly a product of the TV generation. I found my love for storytelling at a young age through books as well as cartoon shows on Saturday mornings and preachers on Sunday mornings. I earned my undergrad in theatre and a master’s degree in public relations. Which means I am always telling a story. And sometimes, they are true. Me and my wife, who performs and teaches theatre locally, reside in the Nashville area with our wild clan of four children. Our house is a very loud house. It’s a 12 step process. Step one, open new Word document on laptop. Step two, tell the potty-training toddler in the house I can’t give him a snack right now. Step three, get the potty-training toddler yogurt from the refrigerator because he kindly said “please.” Steps four through seven, open the laptop and begin to outline scenes in the chapter, shout down the hall for other two children to stop fighting over the same toy laser sword, find yogurt streaked on the bedroom door, threaten to lock all children in their rooms for the rest of the day while furiously wiping up yogurt on door and carpet. Step eight, thank my wife for rescuing me from the children, or is it the other way around? Step nine, queue a Youtube play list of music for inspiration. Step ten, search on Google how to escape from handcuffs while trapped inside an abandoned warehouse – because I’m a writer, duh. Step eleven, write… just write. Step twelve, repeat. There are just some really great stories by some really great storytellers that stick with you. Neil Gaiman and Cormac McCarthy are a few of my favorites. Another, probably less well known, is Mary Doria Russell. She has a fantastic book called The Sparrow and she shows a real mastery of writing characters that are so relatable but so unique at the same time. The most significant impact on my writing probably came from the author of a set of kid’s books I read in the 5th grade. Bruce Coville wrote My Teacher Fried My Brains and the series that followed. I still remember the moment when he made me feel sorry for the bully in the story…twice. That series has had a lasting impact on me. 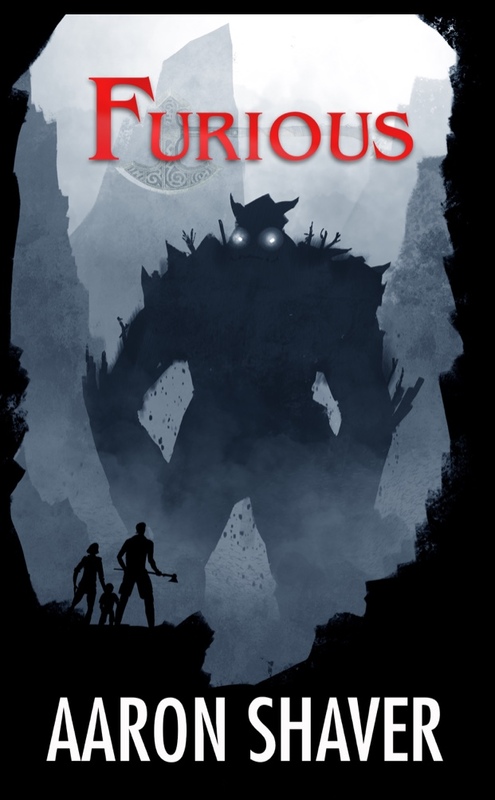 Read the rest of the story - Furious, The Berserker Heritage from Wordcrafts Press, an urban fantasy novel based in Norse mythology and Viking lore. Right now you can get a digital copy of my novel for free just for signing up for my newsletter. Or you can purchase a copy in any format including paperback and hardback a the retailer of your choice. CHOOSE WISELY. Read the urban fantasy novel from Wordcrafts Press. Reese, a young family man with anxiety issues, discovers that trolls are real. Trolls, the scourge of Viking lore - vicious, giant, ugly trolls are real. And, they want something that belongs to his family.